Although not one of the more common cervical symptoms, neck pain standing can become a very physically limiting condition when the discomfort is recurrent. People who must stand for much of their day will sometimes get a variety of symptomatic expressions which coincide with time spent on their feet. In some cases, pain may only ensue after many hours spent standing, while in other scenarios, pain might begin almost immediately. Neck symptoms are certainly not the only types of discomfort which may occur, since many patients might also suffer low back pain, sciatica or other expressions in addition to, or instead of, neck ache. This guide helps patients to better understand the reasons why they suffer exacerbated pain when standing upright. 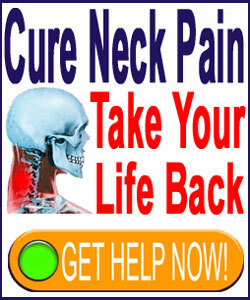 Do You Have Neck Pain Standing Up? Standing can be very taxing over a long period of time. Many people actually find it to be far worse than walking or even moderate physical labor. The static positioning of standing in one place can place inordinate stress on the mind and body. Pressure is focused on the feet, hips and low back, but due to some case-specific spinal or postural issues, some patients may also suffer increased stress on the neck. There is no surprise that almost every case of neck pain experienced while standing is work-related, making these symptomatic syndromes even harder to accurately diagnose. This is because work related neck pain is often a mindbody condition and is not always motivated by purely physical factors. In a great number of patients, pain experienced while standing at work may be enacted partially or in whole by psychoemotional factors, often relating to work responsibilities or work-related internalized emotions, such as anger, fear or anxiety. First, take breaks whenever possible. Walk a bit, sit a bit or even lie down. If this is not possible, at least try to move in-place regularly to prevent pressure from accumulating on particular areas of the anatomy. Next, always consider emotional factors which may be sourcing or contributing to your pain, especially if it only happens at work. Remember, the mind and body are responsible for all matters of health and emotional issues may express themselves as physical pain in many patients. Finally, if there is no solution and your pain is severe, consider a new vocational path which does not involve standing. I know this is difficult and may seem like bowing to the pain. However, life is too short to spend most of it suffering. If you can find a job where you do not need to stand all day or night, then you might just solve your problem for good. I work at my computer about 10 hours a day, 7 days a week. I have not taken a single day off since 2006. When my back pain returned a few years ago, I was challenged horribly, since my symptoms worsened within 5 minutes of sitting. Instead of giving up, I simply built myself a new desk and now spend most of my day standing and working. The only time I sit is for maybe an hour a day, if at all. Over time, I realized that constant standing did indeed cause me quite a bit of neck pain. My doctor is not even sure which of my many spinal issues is to blame for most of my pain, so who really knows the exact reason for this to occur. 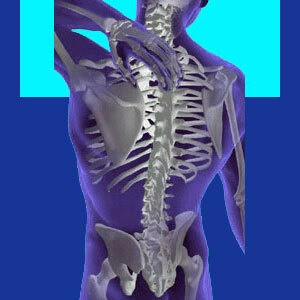 Maybe, one of my 12 herniated discs is aggravated by the position. Maybe, I still have some emotional issues relating to my job. Possibly, it could just be that I am in misery myself and surrounded by back and neck pain each and every day while working diligently on the websites. All I can tell you for sure is that after a long day researching, writing, publishing and doing everything else which needs to be accomplished, I am ready to finally sit down and put my feet up. That is until an hour goes by and the sitting becomes torture. Then it is bed time, for sure.